When I say 116, I’m not thinking of counting buttons, Legos, or Teddy Grahams… I’m thinking about souls. One hundred sixteen souls, children, orphans. 116 children without parents. Each with their own stories, hardships, losses. 116 names, faces, and special spirits that need love. 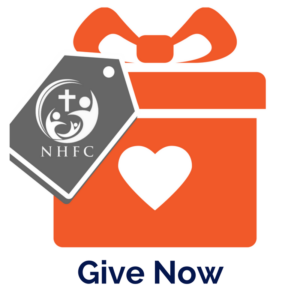 116 is the number of host families NHFC still needs for this Christmas. We have 116 awesome kids who are still waiting to be chosen by a family who will love them, bless them, build them up this Christmas. On the other side of that 116 is another number 88. 88 families who have joined our cause. Together they have committed to love and cherish a total of 118 orphans. They have said they are going to give what they have been given and share it with these children this Christmas. Would you consider joining our cause, the cause to fight for these orphans? Will you do it for just 1 out of the 116 who are still waiting? I wish I had enough time and space to tell you about all the awesome children who are still waiting to be chosen. Andrey is the same age as many boys who are leaving the orphanage, but he has decided to stay because he is committed to his education. Beautiful Anastasija who deals with a poor self-image because of scars from her past. Sasha who is not afraid to stand up for the younger orphans who are bullied. Nikolajs who speaks with a strong stutter, but it disappears when he shares his incredible singing voice. Deniss and Lena, brother & sister, who are talented ballroom dancers. Markuss, who is a kind and gentle boy who gets bullied often. Viktor who would love a new Bible after his old one was stolen. Sweet Irina who dreams of a good family with a mom and a dad. …and that is only 8 of them. There are 108 more out there who are just as loveable and in need of someone to love them! Pray for the waiting children. Share their photos from our Facebook album. Share the Christmas 2012 hosting video. Contribute a scholarship to a waiting child. Shop on Amazon.com to help Markuss’s scholarship fund. Sign up to see the full list of available children and see if they are the host child for you. 116 waiting children. Each one with a name, a face, arms to be hugged, a heart to be loved, a soul to be fed. Each one matters. We made our decision to adopt trouhgh a TON of prayer. We have actually been in the process a couple of years and suffered extreme loss when the little boy we first were adopting was diagnosed with a terminal illness back in Jan. 2009 and we had to halt the process. But we see how God used us in that situation and how He knew that that we were not the family He had chosen for that little boy (that little boy has now been adopted by another American family who has access to the medical facilities that he needs ~ praise God!) We are now waiting to travel to get our 13 year old son from Ukraine who actually spent Christmas with us trouhgh a hosting program. Have you ever heard of hosting programs? They are wonderful opportunities for families who are considering adoption.Anyway, the decision to adopt is a big one. And it’s one that should be made only after much prayer. And if one does not quite have peace about doing it yet, then it’s best to keep going forward in prayer. However, it’s also important to make sure that our indecisiveness is not based upon fear or a feeling of inadequacy.